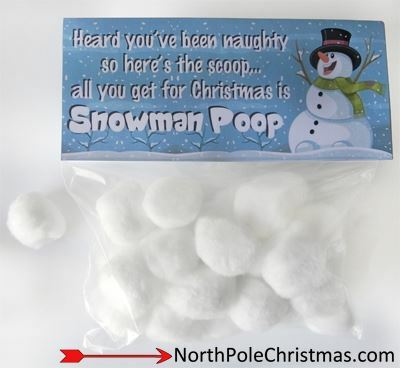 Instructions: To make this cute gag gift - print one of the printable tags below that will fit a resealable plastic sandwich bag, fill the bag with white mini-marshmallows and staple the tag to the top of the plastic bag (or attach with double-face tape). 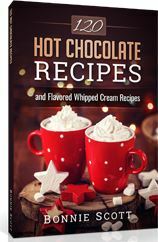 (Cotton balls can also be used in place of marshmallows). 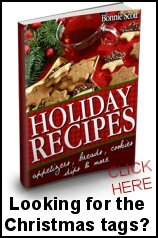 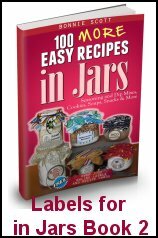 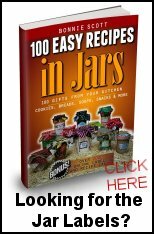 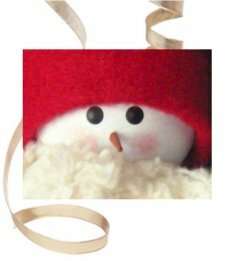 Use for party favors, giveaways, classroom treats, gag gifts, rewards or sell at arts & craft fairs. 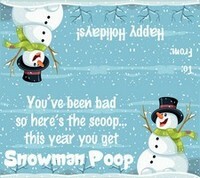 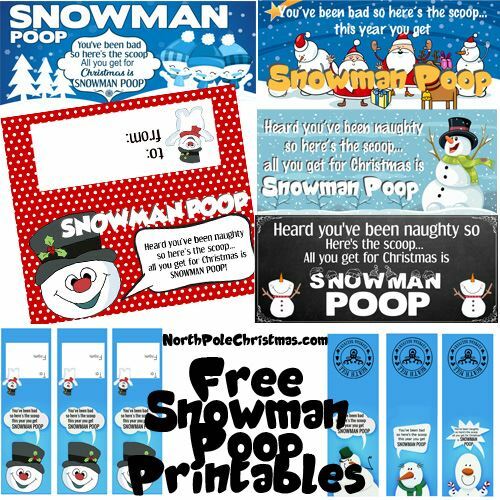 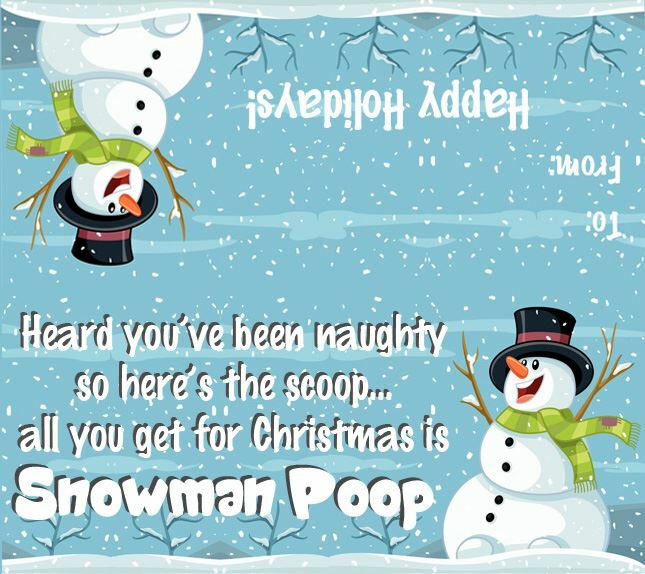 The Snowman Poop Page has many more Snowman Poop Bag Toppers and Tic Tac Labels.